Liquid Facelift is a non-surgical procedure for lifting the facial skin and reshaping the facial features. It basically includes injectable cosmetics. Because of lack of collagen production during aging process our skin loses volume. The fillers used in Liquid Facelift allow the skin to lift up and gain volume. It also improves skin elasticity which gives you more youthful facial features. Giving back your youthful facial features. Lifting up the skin by removing any sagginess. Adding volume to face by filling pores. Removing wrinkles or creases from the face. Initial Consultation requires an appointment with a skin specialist to discuss the details and requirements of the procedure. The purpose of the appointment is to examine the patient’s condition and derive a plan for treatment based on the doctor’s suggestions. Patients also get informed about the possible outcomes or side effects of the procedure (if any). 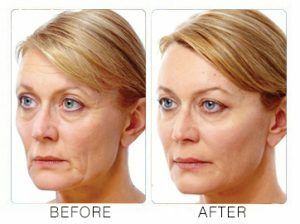 When to get a Liquid Facelift? You have got wrinkles or creases on your face. You have got saggy cheeks and dropped facial features. Your facial outlook has become less highlighted. You have got bumps under eyes and cheeks. The procedure is different for every patient depending upon his needs and current condition. Some people require a subtle facelift which is acquired by smoothing smile lines and some people need a complete facial rejuvenation. 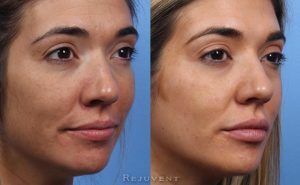 The procedure involves the usage of advanced dermal fillers to uplift the facial skin and add volume to it, which gives the face a firm and nice outlook. Dark circles or any other lumps or bumpiness in any area of the face is also removed during the procedure. The whole procedure is conducted under local anesthesia and the doctor will inject the dermal fillers in the specified facial areas which will revive the patient’s facial features. 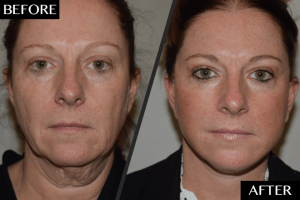 Liquid Facelift could result in ranging from subtle changes in the facial contours to completely rejuvenated and revived facial features, depending upon the applicant’s requirements (Discussed during initial consultation). The results start appearing almost instantly. You will feel you’ve got your old looks back. The facial appearance becomes well contoured and the face gets a more natural look. 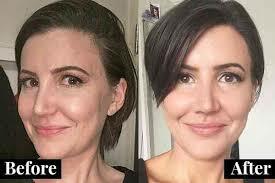 The face becomes firm and well structured. You will have a nice jawline. After the procedure, your face will become smooth and wrinkle free because all the gaps are filled with dermal fillers to give you a younger look with enhanced under-eye areas and no dark circles. The lips and cheeks become fuller and the presence of hyaluronic acid in the fillers keeps the skin rejuvenated. The whole procedure is non-surgical so there is no recovery time needed. Results are almost instant. And there is no bed time needed. Patients can carry on with their daily routine after completion of the procedure. It doesn’t cause any pain. Patients can change the results afterwards. Do you want to know more about Liquid Facial Treatment? We are here to help you. So ask any question by filling the form. Get in touch with us and win exciting discounts.